From eaeh of these sources it is spread out in circular waves. If the incident wave is plane and falls normally upon the grating, all these waves start from the separate openings in the same phase of vibration. 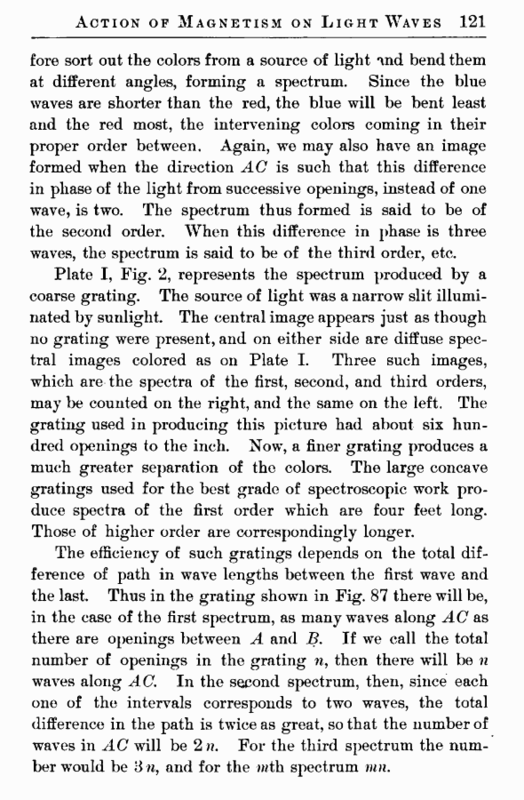 Hence, in a plane parallel to the grating we should have, as the resultant of all these waves, a plane wave traveling in the direction of the normal to the grating. 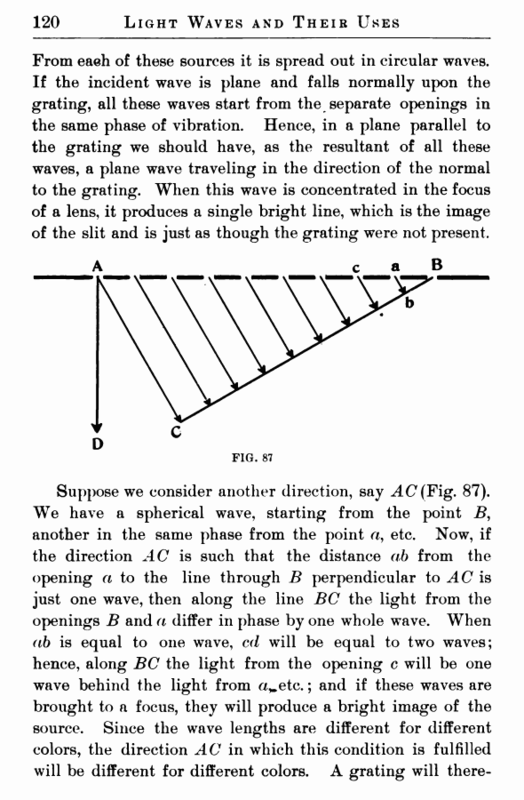 When this wave is concentrated in the focus of a lens, it produces a single bright line, which is the image of the slit and is just as though the grating were not present.